Celebrated author Ruskin Bond’s stories have often hit the marquee with top notch directors such as Shyam Benegal and Vishal Bhardwaj been lured by Bond’s deft writing and plotlines. 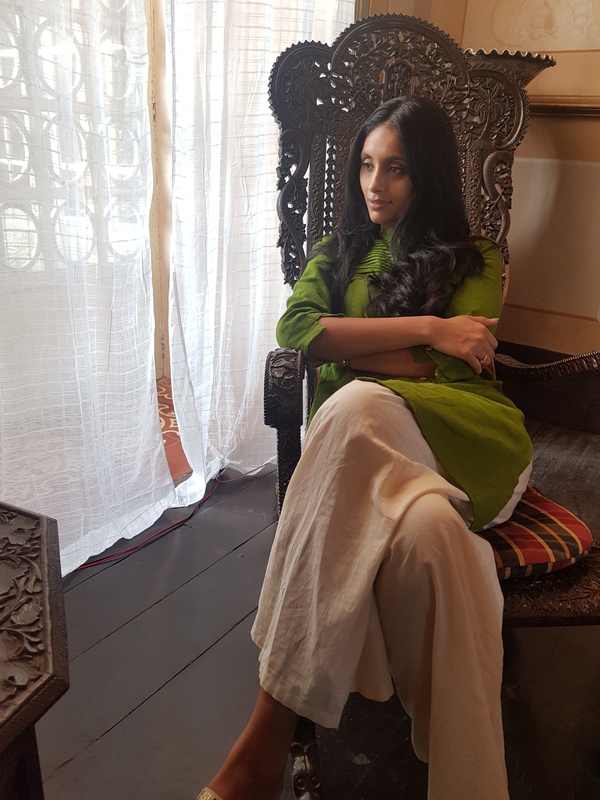 Angry Indian Goddesses actor, Pavleen Gujral gets lucky to feature in the latest Ruskin Bond screen translation- Parchhayee which is a collection of short ghost stories. Bollywood’s finest actors have featured in earlier screen adaptations of Ruskin Bond’s stories. Pavleen Gujral joins the list now with ‘Astley Ka Intezar’, the last installment of Parchayee. Paveleen plays the role of chukti, a doting daughter who is worried for her father as forces from the nether world disturb her otherwise uneventful life. ‘Astley Ka Intezar’ is shot in an abandoned bunglow in Goa which adds to the spine chilling horror, the show has to offer. Pavleen shares screen space with Abraar Zahoor, Vikram Kochar and veteran actor Shakti Kapoor. Talking about being a part of a Ruskin Bond story, actor Pavleen Gujral said, “I was thrilled to be a part of Parchhaye. Not every day, a Ruskin Bond story gets made into a film or a series. If you recall the films made on Ruskin Bond stories you will remember the characters as being distinct and unusual. It’s difficult to bring such distinct characters together and that too if it is a horror story. My director Samimitra has done a swell job and brought all the characters alive. It’s a gripping watch”. She added, “Horror as a genre is very challenging. There are no real life references to draw from. It also gives a lot of room for imagination and improvisation. So as an actor is there is a lot of creative satisfaction you can draw and if the characters are nuanced then there can’t be anything more interesting than this genre”. The show is directed by Samimitra Das who has been part of Hindi feature films such as Lootera and Commando in the past. It is also co-directed by Aniruddha Chowdhury (Director of Pink). Produced by Banijay Asia, Parchhayee is now streaming on Zee 5 with ‘Astley Ka Intezaar’ as its last installment. While the actor’s social media is being flooded with congratulatory message for the series, Pavleen in busy shooting in Shimla for her next. Angry Indian Goddesses Movie Review: The Ladies on a Roll!